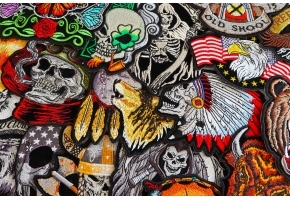 This is a highly detailed Cowboy skull patch. 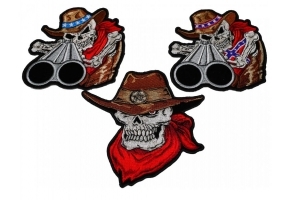 Cowboy skull patch gives a scary look, this skull cowboy have a piece of red cloth in the neck and a hat in the top of the head. Looking Great. It measures 4.5x4.5 inches. Also we have a large size for this patch for your lether vest or jacket. 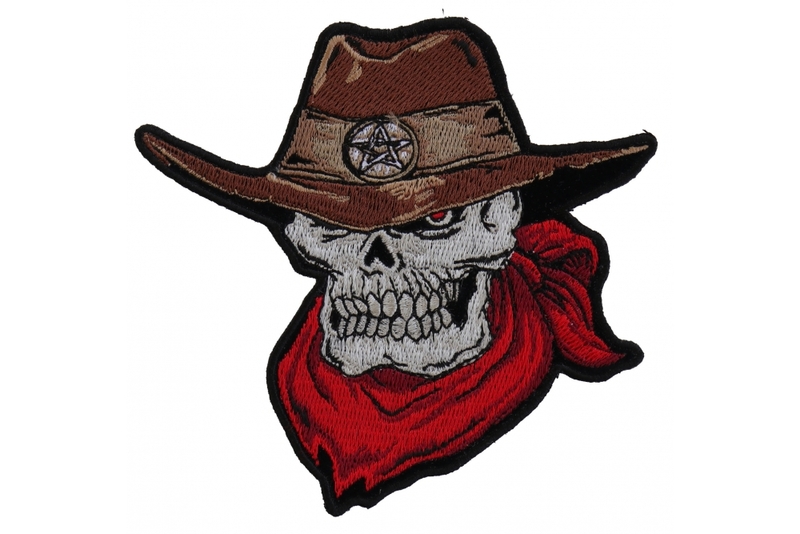 This cowboy skull Emblem is embroidered in Black / Red / Brown / Gray. 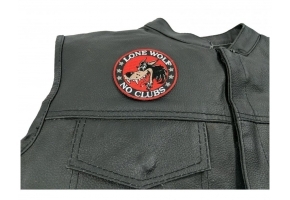 This patch suits very well on your riding clothes. This patch is ready to be ironed on or sew on your clothes. The patch features plastic iron on backing and clean die cut borders for easy sewing and ironing on application. 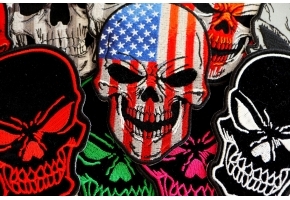 Add more customize look into your clothes by sew on this patch. Looking for something slightly different in this patch? 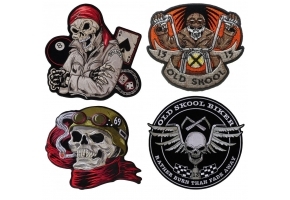 We do custom patches, Just tell us your idea. 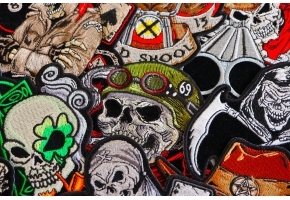 Apply for a wholesale account if you are interested in making quality bulk patch purchases. Place your orders today we will ship them on the same day.